There are some awesome long distance bicycle routes in the US that you can try out this spring and summer. To complete these routes you must be an advanced cyclist with proper training. However, the joy of bicycling is that you can bite off as much or as little as your physical stamina will allow. So use these as inspiration and know that the five mile stretch you enjoy today could lead to a trip lasting weeks in the future. This one is looooong. Really long! The TransAmerica Bike Trail is all of 4262 miles and it starts from the Atlantic Coast in Virginia and goes to the Pacific coast on Oregon. It is therefore qualified to be referred to as a coast-to-coast route. You will pass through the heart of the USA, the Rockies and by the time you make it to the Pacific coast in Oregon, you will be glad that you tackled this route. Along the way are parks, stops, mountains, and many other things to see. You will see why this trail, started in 1973, has been growing in popularity ever since. You can expect the terrain to change from flat river valleys to mountains and so on. Just as its name suggests, the Mississippi River Bike Trail follows the river for about 2000 miles. Imagine that, 2000 miles of riding along the mighty Mississippi River starting from the source of the river in Minnesota and going through the wonderful countryside and eventually terminates at the delta of the river in New Orleans. The Pacific Coast Route takes you through some of the most awesome scenery in the USA. 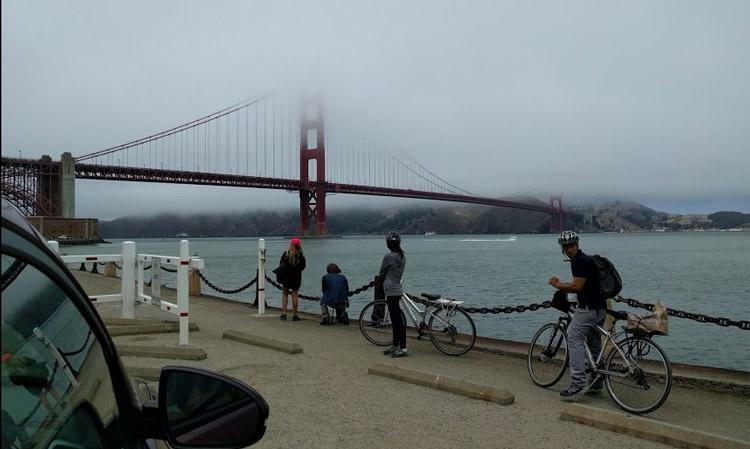 You will start at the Washington-Canada border and then cycle all the way to San Diego and the best thing about it is that the route follows the shore of the sea, so you should have a nice time enjoying many stopovers along the way and the fresh breeze of the sea blowing on your face. The length is 1,853 miles, but you can extend it further to British Columbia in the north and Mexico in the south. Looking for a challenging trail that has a little of everything? If yes, the Lewis & Clark Trail for cyclists has the right kind of challenge and thrill for you. It is named after the two explorers who were given the duty of surveying and mapping the land that was acquired in Jefferson’s Louisiana and the trail follows their route to the Pacific from the Great Plains. This trail is long, all of 3252 miles from Hartford, Illinois to Portland Oregon, but you can also break it into 8 maps with the first leg being Hartford to Council Bluffs which measures 554 miles. The shortest route in the Lewis & Clark Trail is the Missoula, MT to Clarkston, Washington which measures 245 miles. Expect all manner of terrains for this trail, from mountains to rivers, flat lands and so on. However, the experience will be out of this world. 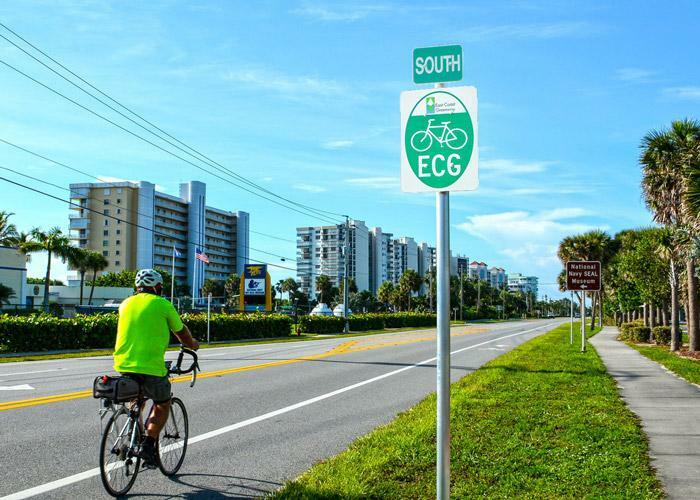 The East Coast Greenway measures about 3000 miles, connecting 15 states, 450 cities and towns, and will be the longest single trail biking and walking route in the United States. It is intended to link Key West, Florida and Calais Maine. This trail is totally car-free and will allow a cyclist to travel the entire route without being in danger from motorists. This is accomplished through a combination of road-side right-of-ways and dedicated paths. The Great Divide Bike Trail is all of 2,696 miles long and it is best for advanced cyclists, well, all the long trails are. It is can be quite a challenge as it is made of gravel, it is a single track on most of the miles and it also comprises of old railroads that have been converted to a cycling track. As you cycle, you may not notice it if you have a good bike, but the route eventually gains a lot of elevation, up to 11,000 feet! This is for people who would like to cycle through a route that has history and character considering that the Underground Railroad is the original underground routes that were used by African escaping slavery before, during and after the civil war. A journey along the Underground Railroad Bicycle Route It is a good learning experience for you as you enjoy a great time on your bicycle. You should love every bit of the 2028 miles that make up this trail. It really is not underground, it just means it is little known.